So here we go! Old technology is new again. Or is it rather Deja Vu all over again? It seems this is a theme when it comes to the world of cycling parts and technology. Every once in a while something comes back. 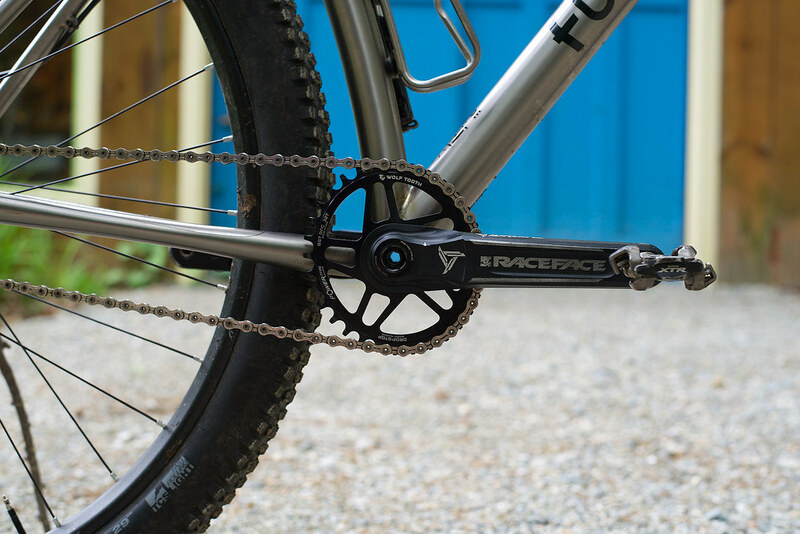 Take flat mount for example or… more apropos, oval chainrings. Biopace anyone? If you’re a product of the 1990’s mountain bike craze like I am, then you know these suckers all too well. My first mountain bike had these things on them. I wore them down to points none the wiser for their apparent knee damage inducing pedal strokes. But today’s oval rings are definitively NOT what Biopace was technologically speaking. They’re quite different. 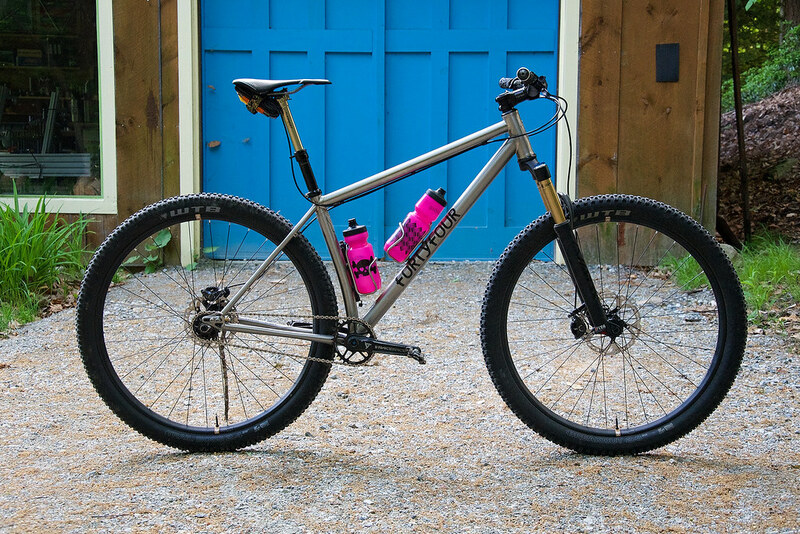 A recent client who I built a singlespeed for just couldn’t say enough good things about them. So much so while out on a shakedown ride with him aboard his new SS, he had my attention as we chatted while we pedaled. So I ordered one up and I have to say from that first pedal stroke about a month ago, I’m pretty impressed. So if you’re a singlespeeder like I am then read on as this is a review of an oval ring and how I found it to benefit my pedaling. 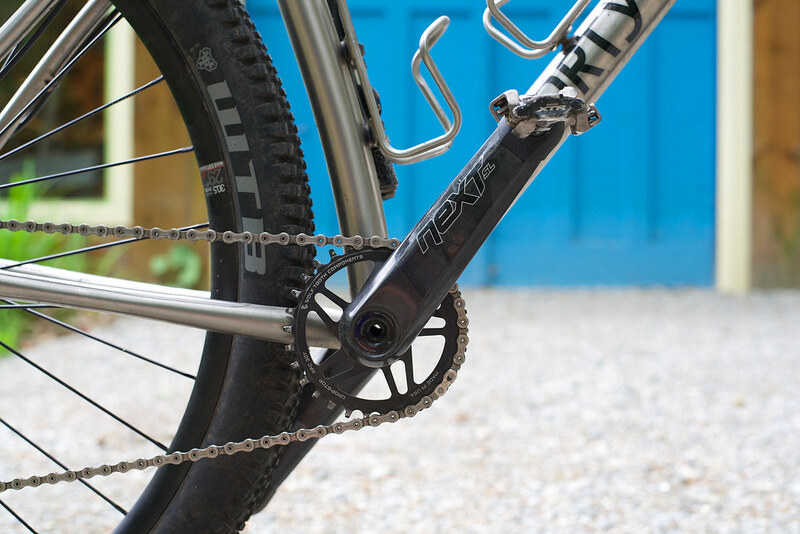 FYI to anyone riding gears: This is more focused on pedaling efforts on a singlespeed, but it’s not to say what I mention won’t be applicable. So let’s roll up our sleeves on this one and get down to business. Post ride I was so intrigued by my client Dan’s comments and watching him pedal, I decided to order myself an oval chainring for my singlespeed. What I ended up ordering was a 32t Oval chainring made by Wolftooth Components. It’s their Race Face Cinch in a 3mm offset Boost specific version FYI. 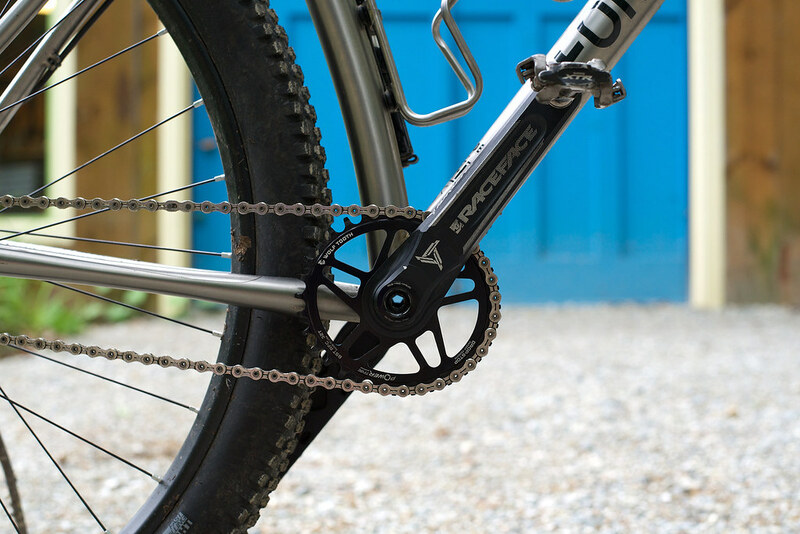 Install was quick and simple: Remove the drive side crank, swap chainrings out, clean and lightly grease both interfaces, torque that crank arm back on and voila! I’ve been Ovaltined… Chain tension was a touch loose at the smallest diameter of the ring so I made a subtle adjustment of chain tension as I was setting it up but it was not much change in chain tension actually. Pro-Tip: Set the tension off of the narrower diameter of the ring as it will tighten slightly as you pedal. Finding the sweet spot isn’t difficult but will take a bit of nuance. So how’s this thing ride? First ride out, I decided to head over to the first trailhead near my house which is about a 3 mile pedal via dirt roads. A few climbs are in there but not too many long ones that are sustained (you have to wait for the return trip home… that last one’s a goodie). Out of my lane, you take a left turn and it’s a slight incline before it levels off. “Huh. Did someone make this easier?” I’m thinking. “Can’t be the ring. Maybe I’m just fresher tonight?” (That’s a theme on this first ride by the way.) Pedaling is pedaling and yes, as described I was pretty quick to realize that things were definitely smoothed out. My pedal stroke along that 3-mile dirt road approach was more natural and a bit more harmonious. Up hills and rises it seems like I can generate a bit more power and momentum follows naturally. The effort is still there, but it physically feels more akin to pedaling on a flat. Once I arrived at the trailhead, this effect seemed to be a bit more pronounced and my legs seemed to realize this. Turns were charged just that quicker. Hills attacked just that much more aggressively. Climbing? I felt fresher further into the ride and on that long sustained climb on the way home I didn’t feel like I had that slow speed CHUG-CHUG-CHUG as I speed up and slow down in between pedal strokes as you’re powering up and over your pedal stroke of 12 o’clock into 3 o’clock where it’s traditionally tougher to keep the pedals turning or your crank cresting from 12 into 2 o’clock on a tough climb. Subsequently, in the weeks and rides that unfolded, I’m very impressed with just how much more power I can produce with my pedal stroke. So much so in the 3 first rides, I put my rear wheel out of true, stretched the chain, and put the sliders out of alignment twice. This could also coincide with the fact that since I’m in full recovery from my Lyme treatments and my legs are getting stronger again but it’s not a coincidence I believe. I’m producing more power, even if ever so slight. Editors Note: One other factor I took note was rear wheel traction of all things. Because my pedal stroke is now smoother and power transfer is more even, the rear wheel seems to stay planted better and traction is vastly improved. 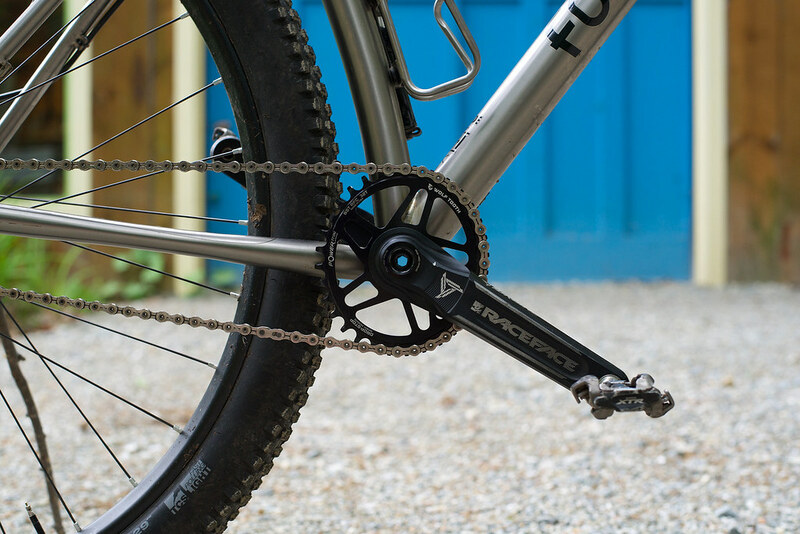 With hard efforts on a singlespeed, sometimes the rear wheel can cut loose or even hop/skip mid pedal stroke as you apply force and really try and grind it out. I noted this happens less frequently. Actually quite a bit less frequently! Also what used to be a tough spot to keep the pedals going round is now technically a resting spot. Let me explain this. So right at a critical part of your pedal stroke where it typically was tough, it’s a bit easier due to the shape of the ring but you basically power INTO that more powerful pedal stroke thanks to where the actual oval is placed relative to the pedal stroke. Also, note it’s at it’s widest exactly where you can naturally push like hell on the pedal because now you have all your weight on top of that pedal in addition to being able to push and pull on your bars working that side to side motion with your upper body. My own opinion is that because of this shape, and exactly where it is in my pedal stroke, I actually feel as though typical climbs are actually easier. They still require effort but let’s say that’s only 5-10% less effort over the course of say a 20-mile ride? That adds up! That’s a net gain so I’m not so gassed at the top of hills. I’ve also noted my lower back doesn’t take so much of a beating on tough climbs further into rides. So do I recommend oval chainrings on your singlespeed? Heck yeah, I do! So much so, I don’t think I’ll ride my singlespeed without one again. 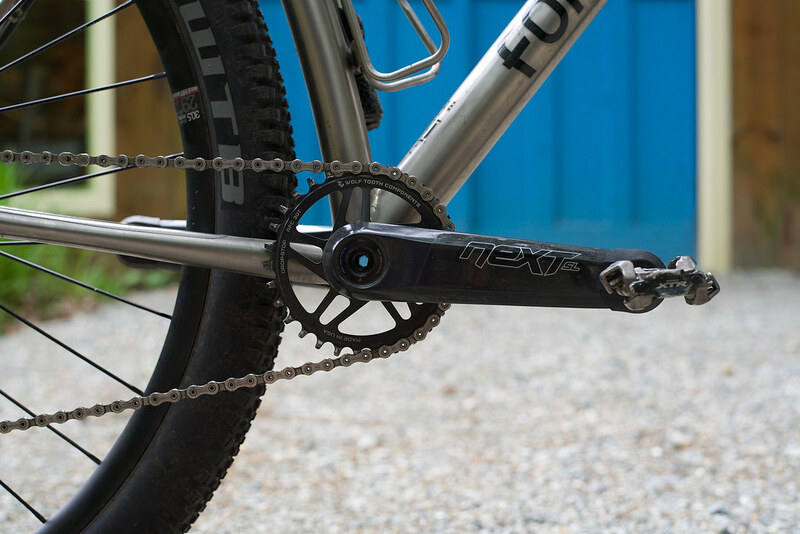 Same goes for a dropper… That changed how I go downhill and it also changed how I ride tech. But it definitely smoothed out my pedal stroke to be more harmonious while allowing me to produce a bit more power in a critical part of my pedal stroke while allowing for a resting phase where it typically would be a harder effort in my pedal stroke. Overall a super killer experience. I love stuff like this! I don’t feel as though I “need” one on my bike with gears. 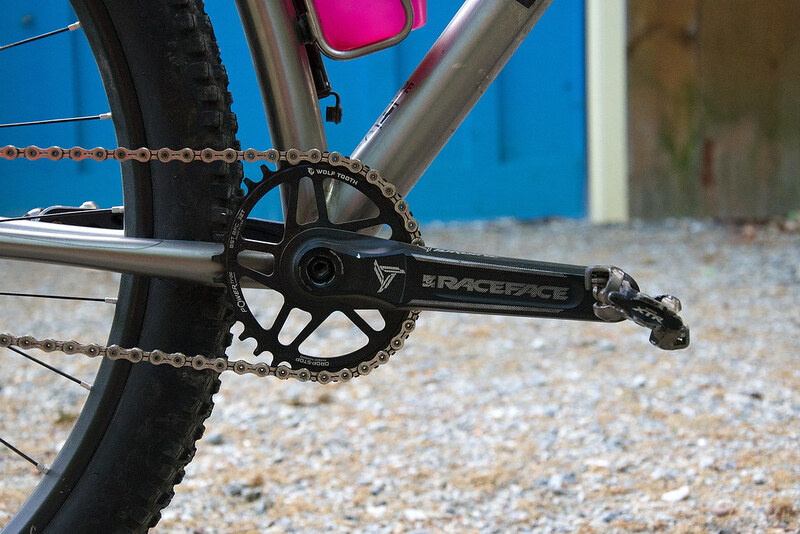 Those wider range cassettes have really made a world of difference when it comes to 1x setups and thanks to the elimination of a crank’s spider with systems like Race Face’s Cinch, swapping out chainrings and playing with tooth count really has opened up so many possibilities. So yes, if you ride a singlespeed and are considering an oval ring, give it a go! The benefits to me were clear within the first couple pedal strokes, especially up that last long killer climb back to the shop.